Council of Trent | The Old Adam Lives! This idea still holds in Roman Catholic theology. 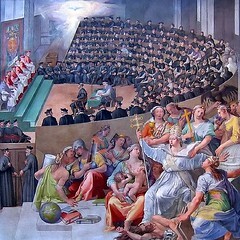 The Council of Trent is still upheld by Rome. This goes against the clear word of Scripture. Thanks to Bonar-History and flickr for the photo.